Movie Money is a must-read for all film producers, directors, writers, and actors. The distribution of a motion picture's profits is, for most filmmakers, a murky, labyrinthine domain ruled by studio/distributor accountants and lawyers. 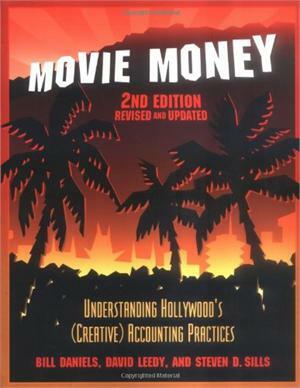 Subtitled Understanding Hollywood's (Creative) Accounting Practices, this book unravels, demystifies, and clearly explains the film industry's unique, arcane, creative accounting practises. It examines a film's various revenue-generating and revenue-consuming components and presents numerous film-industry definitions of gross and net profits and the many ways in which these figures are calculated. It also provides in-depth discussions of the various aspects of profit participation – terminology, accounting practises, and deal practises – along with chapters on audits, claims, and negotiating tips and tricks. This second edition of Movie Money greatly expands the first edition's coverage of basic cable providers and new rulings regarding motion picture industry financial reporting practises and new material on vertical integration (i.e., studio self-dealing). Bill Daniels is a partner with Schwartz, Daniels & Bradley, where his civil litigation practise includes representing film and television writers, producers and directors. A former business writer for Daily Variety in Los Angeles, he has written widely on business and legal topics. David Leedy has worked as controller of Universal Pictures and in similar capacities for Color Systems Technology, Nickeldeon, and Real EFX and as a CPA/consultant for film and television producers, distributors, directors, writers, and actors. He has taught and lectured at USC, the American Film Institute, and UCLA. Steven D. Sills is an attorney and CPA. He is president of Sills & Adelmann, a CPA firm that specializes in motion pictures and television profit particiption audits. Sills teaches motion picture accounting and profit participations at UCLA and for the California and New York CPA Societies.